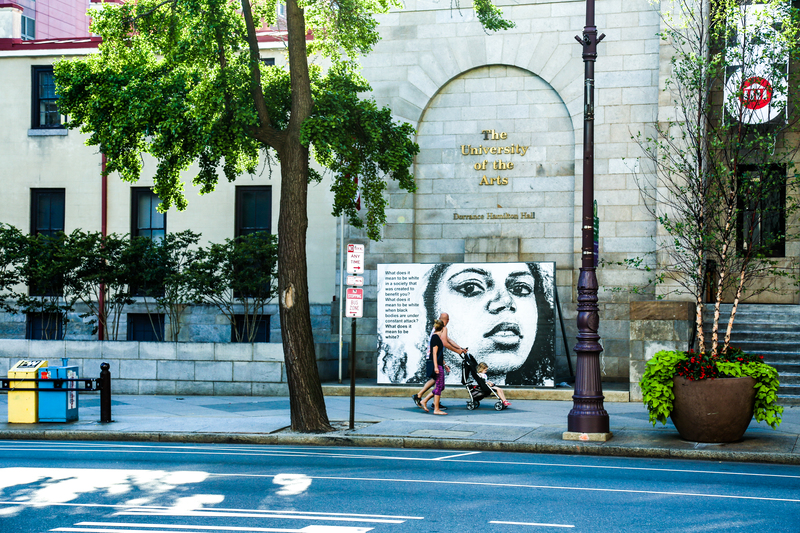 A new installation from artist/activist Tatyana Fazlalizadeh outside the University of the Arts on South Broad street in Center City asks white people to think about their role in addressing/dismantling racism. 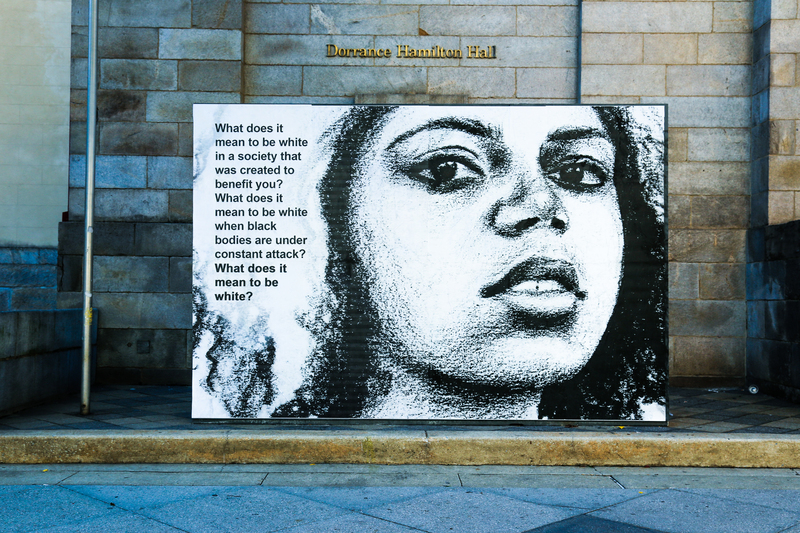 “Questioning Whiteness is a public installation that is asking a white audience to find its role in the workings of racism and white supremacy. The questions posed here are attempting to point out whiteness, to name it, to look at, to see how it is complicit.” The artist, Tatyana, wrote in an Instagram post. 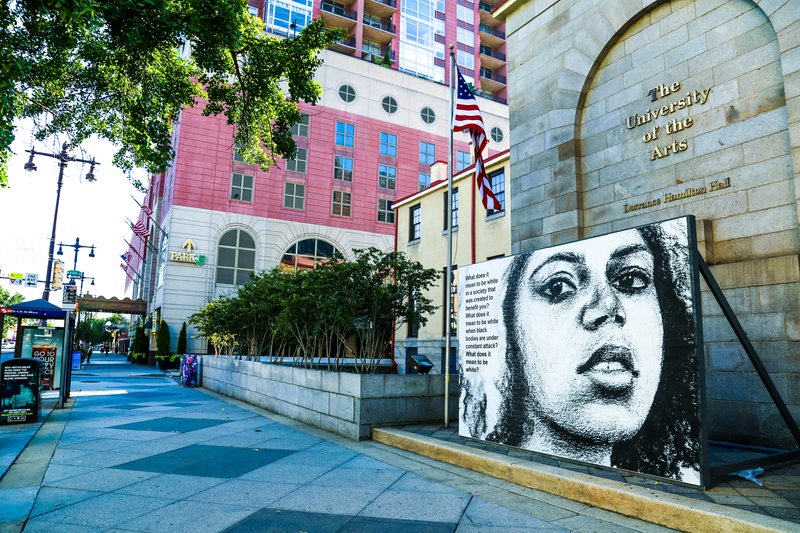 The installation is apart of a new series titled We The People from curator RJ Rushmore and commissioned by Mural Arts Philadelphia. “This series reflects the concerns and celebrates the best of the United States right now. Each mural is a seed of hope and a celebration of the people that make up this country. Themes include immigration, education, food justice, and the environment,” Mural Arts wrote describing the new series. 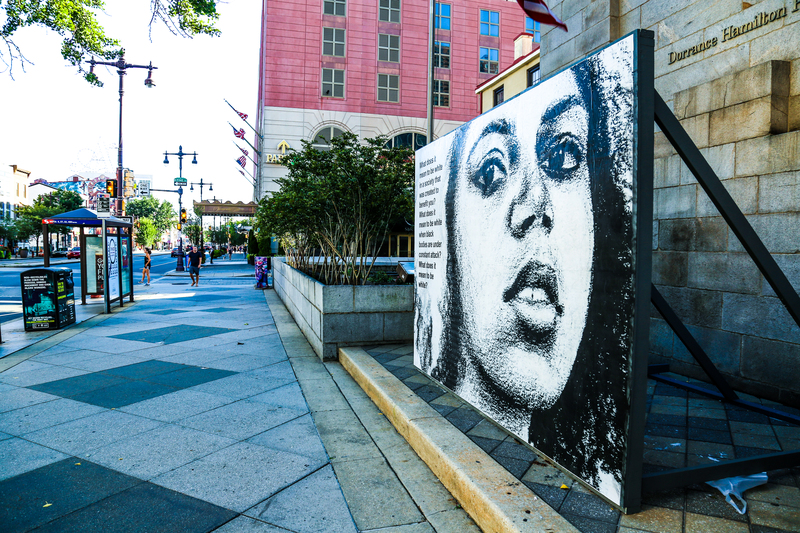 See pervious work from Tatyana Fazlalizadeh around Philly here!